Resolute Mining has proceeded with the strategic review of its expansion project at the Ravenswood operations in Queensland, amid questions around the gold mine’s future direction. The company has reached an agreement with the Queensland Government for the relocation and construction of a new Ravenswood State School. This represents “a key milestone” Resolute needed to progress development activities at Buck Reef West, the company said in an ASX statement. 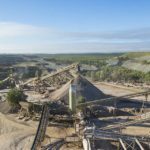 Mining and processing of the Buck Reef West open pit will extend Ravenswood’s mine life to at least 2032, and is expected to commence in July 2019. “In July 2018, when we published the updated Ravenswood expansion plan, we advised that we planned to intensify our efforts to identify further cost saving and revenue enhancements as our plans at Ravenswood develop,” Resolute chief executive John Welborn said. 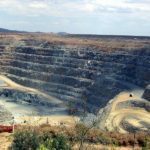 The review will assess potential for further growth at Ravenswood through processing expansions, mine life extensions and increased production capacity. Resolute said in an ASX statement the $8.5 million school was within the capital amount allocated within the expansion project study. Construction of the school will begin this year, with the school opening targeted for mid-2020. Tablet computers and coding robots will be supplied by the Resolute Foundation. 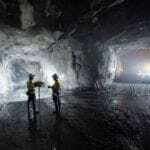 Earlier this month, Resolute released an ASX statement saying it has not made any decision in relation to the spin-off or sale of the Ravenswood gold mine. “The company will keep shareholders informed of the progress of the review and of any decisions regarding its future ownership of Ravenswood,” the statement read.